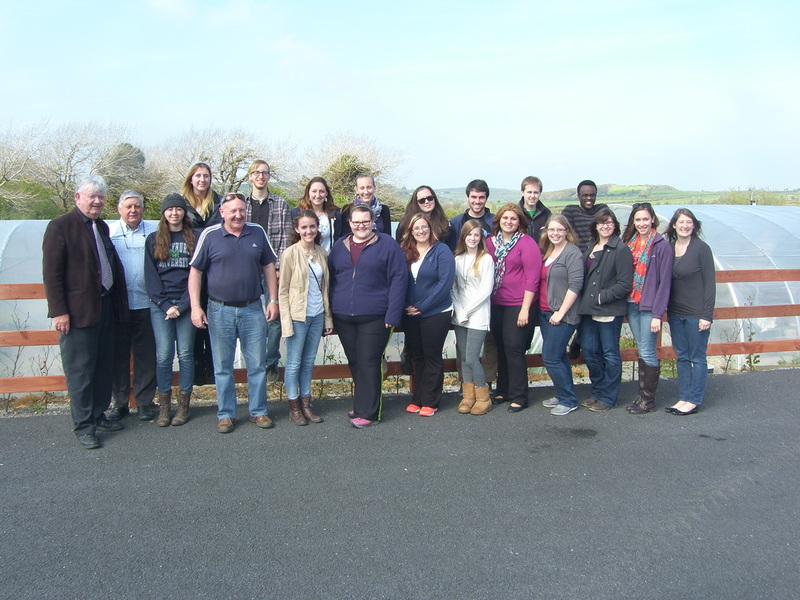 Lecturer and students from Mercyhurst University, Eyrie, Pennsylvania, USA on a visit to Dunhill Ecopark on Tuesday 29th April 2014, with Tom Kieth (left) and Donal Lehane, Chariperson DFBA Enterprises Ltd. (second from left). 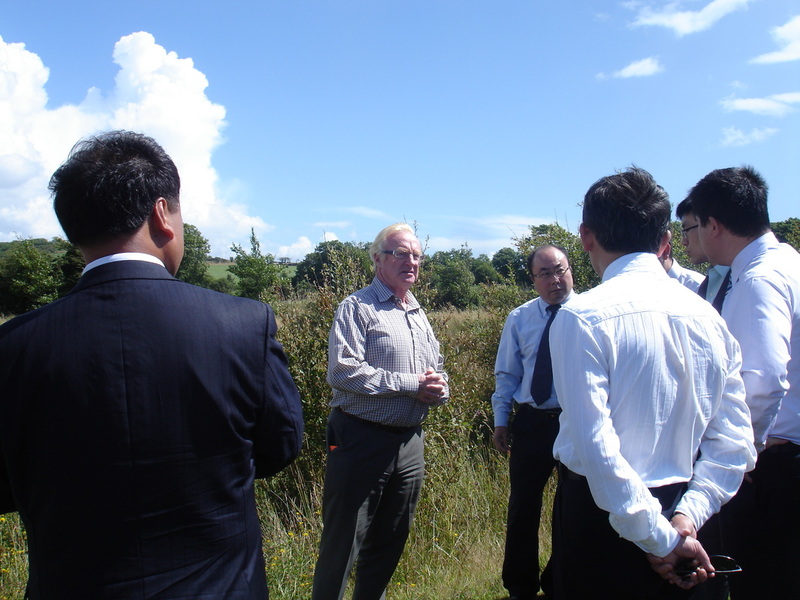 Dr Rory Harrington Scientist living at Dunhill giving a tour of the Integrated Constructed Wetlands in Dunhill to 9 Chinese Government Officials from Bejing. The conference took place in Dunhill Ecopark in July 2013. Rory has been invited to present to the Chinese government on several occasions in China in past few years. 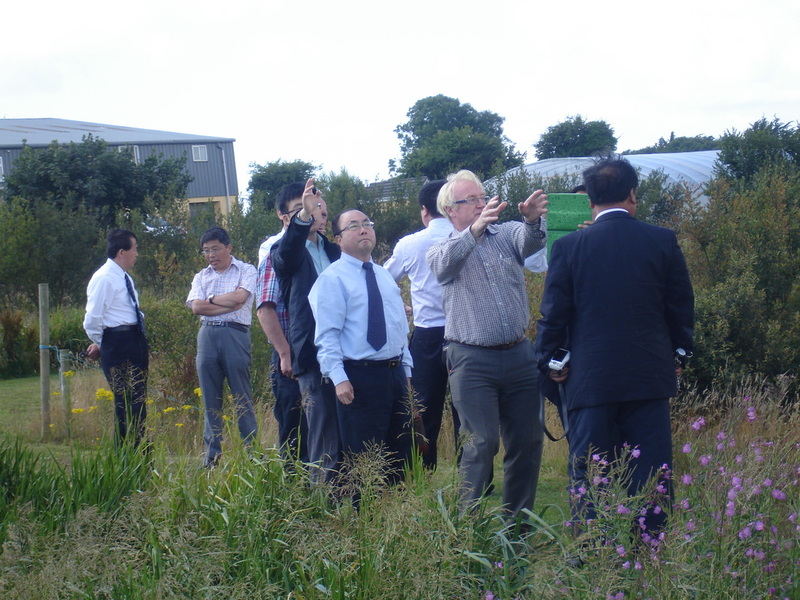 The pictures below were taken at the 2.5 acres of Integrated Constructed Wetlands at the rear of Dunhill Ecopark and that treats all the waste-water from the businesses and the GAA across the road. Dr. Senan Cooke, secretary of Dunhill Rural Enterprises Ltd. the social enterprise that established Dunhill Ecopark is in the second photogragh with Dr. Rory Harrington. 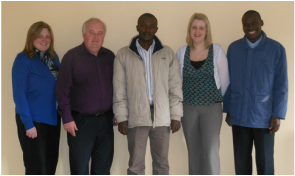 From Left to right: Caroline Mulqueen, Programme Manager from Traidlinks, Paul Dunne, Dunhill Rural Enterprises Manager, John Bosco Kalule, Uganda based Project Manager for a Traidlinks Agri Supply Chain Programme in Hoima, Northern Uganda, Geraldine Pender, Marketing and Social Media Officer and Philip Muwanika, Trade Promotion Officer at Uganda Export Promotion Board. Recent visitors which were welcomed to Dunhill Ecopark by Paul Dunne, Dunhill Rural Enterprises Manager and Geraldine Pender, Marketing and Social Media Officer were Caroline Mulqueen, Programme Manager from Traidlinks, John Bosco Kalule, Uganda based Project Manager for a Traidlinks Agri Supply Chain Programme in Hoima, Northern Uganda and Philip Muwanika, Trade Promotion Officer at Uganda Export Promotion Board. Traidlinks is an Irish NGO, promoting and supporting enterprise development in East Africa. 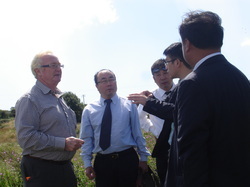 They are affiliated with the Healy Group, particularly Maurice Healy who is on the Board of Directors and who recommended that they visit Dunhill Ecopark during their visit to Ireland. John Bosco (centre in photo above) is currently developing the Ugandan Agricultural Supply Chain programme in Hoima, Northern Uganda which will link into the Oil & Gas market initially in the region. Traidlinks has also set up an enterprise space in Hoima (mainly mentoring, training, desk/pc rental space) to develop start-up businesses in the region. 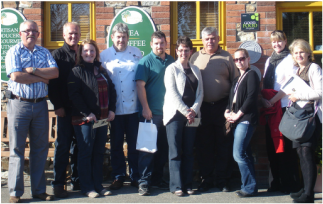 Names from left to right are: Lloyd Warford, Jim Lester, Michelle Lester, Norburt Thul (Tastefully Yours), Kyran Power, Debbie Rideout, Rick Rideout , Amy Bradbury, Tonya Norman (International Trade Officer, Department of Innovation, Business and Rural Development, Newfoundland, Canada) and Kate Hickey (Executive Director, Ireland Canada Business Association). products, the success that they have enjoyed so far and their plans for the future. From left to right: Alessia Cilenti, NECI, Italy, Ayodeji Olofintila, V2020, United Kingdom, Noreen Zahida , Extended shoools/play rangers project, United Kingdom, Zinab Chokoud, Hague Youth Ambassador, Netherlands. from the 12th to the 14th of September, 2012 with delegates taking part from such countries as Wales, England, Netherlands, Poland, Latvia, Italy, Greece, Sweden, Croatia, Spain, Iceland and a number of Irish representatives. 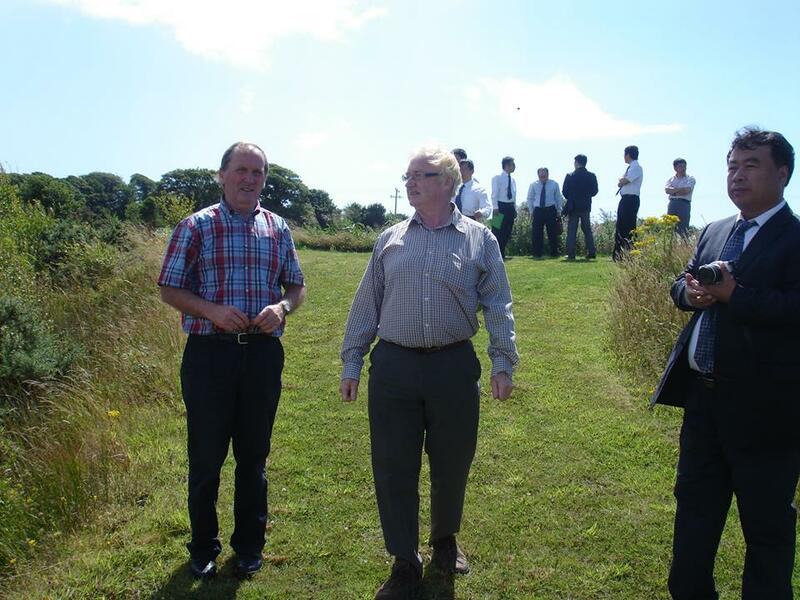 They were welcomed by Dr. Senan Cooke, Secretary to the Board of Directors who gave the group a brief presentation on the history of the Ecopark and plans for developing the park in the future, this was followed by a question and answer session and a tour of Dunhill Ecopark and the Wetlands.